We spend at least a third of our time in bed. One way to make your bedroom a sanctuary is to invest in luxury bedding. 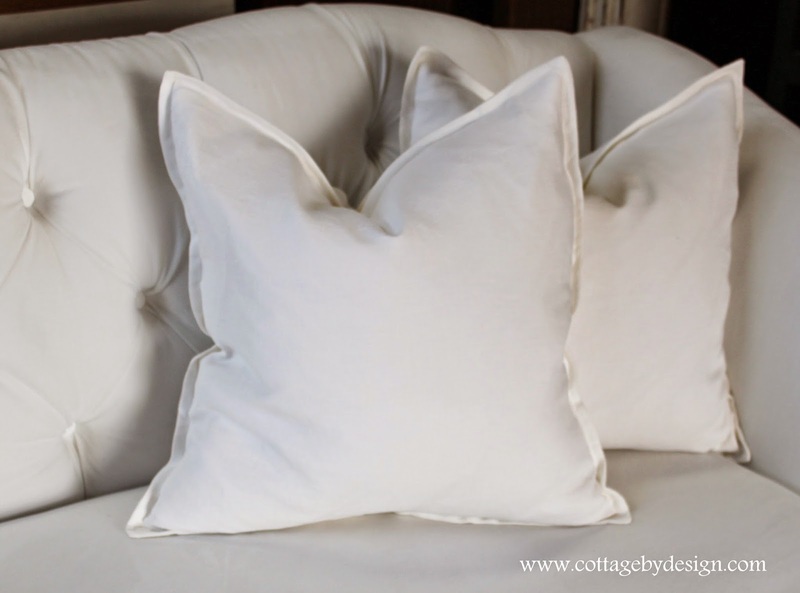 Custom made bedding including duvets, pillow case, sheets, and shams can be made to your exact specifications using natural, breathable linen. 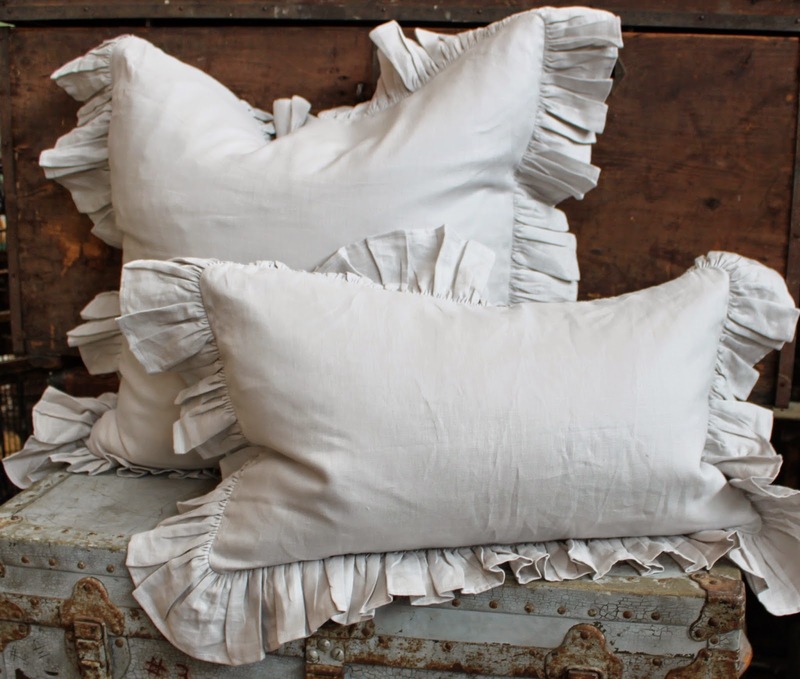 Similar to the ruched pillow, seen below, this design features two vertical rows of delicately tucked ruching. 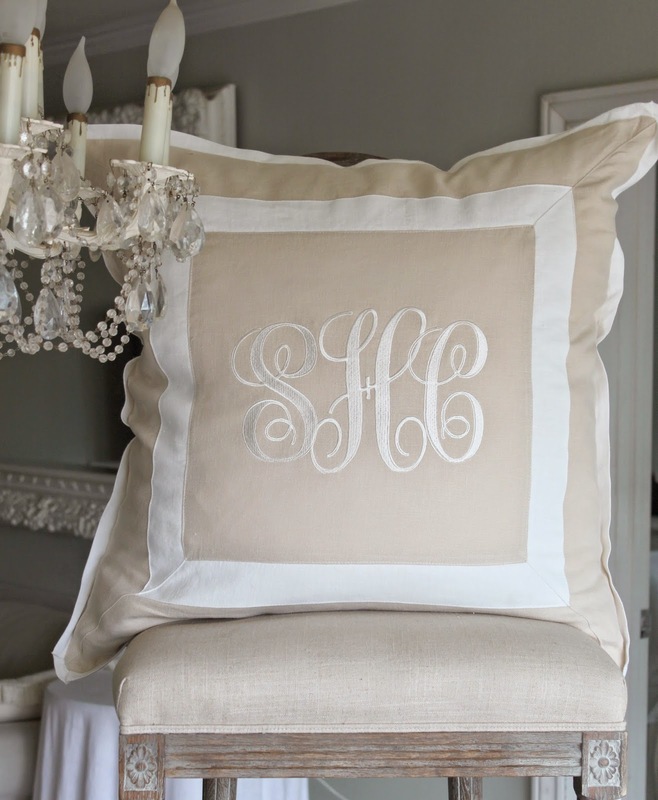 Shown with optional swirly font embroidery. Just like a plain/knife edge but finished off with a flange top-stitched seam about 1/2 inch inset from the sides. Probably the design I'm asked to make the most, this features a 4" ruffle around all four sides. Another favorite, this features two vertical rows of petite 1/2" ruffles. 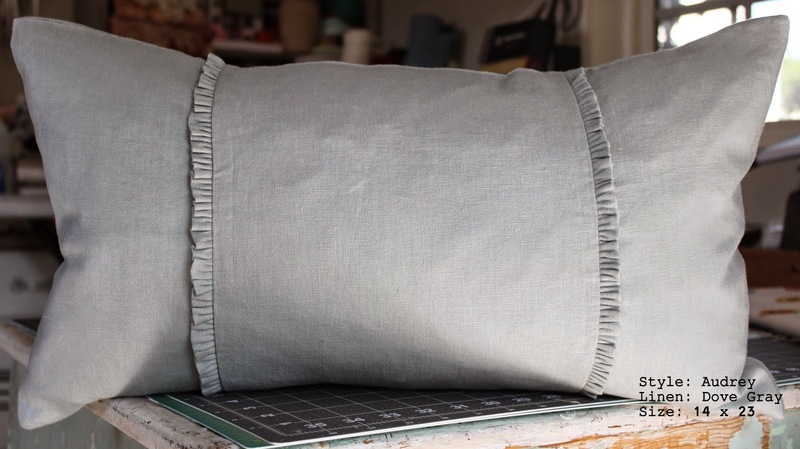 This duvet uses a coordinating color linen to create two bands of vertical stripes. Shown with optional extra large Hattersley font embroidery. Shoot me an email or give me a call if you have any questions or want to get something made. Looking forward to hearing from you!